Lip products, by far, are my favorite makeup items to buy and wear. There are so many options, with colors and finishes, I can never get enough. As we leave Winter and enter Spring, I tend to shift from deep berries and reds into all kinds of pinks. Here are some of my favorite picks for the upcoming months. First, I have the Revlon Just Bitten Kissable Balm Stain (£7.99) in the shade 10 Darling (Which may have been renamed to Cherish). Revlon do some of my favorite lip crayon formulas in all kinds of finishes, thoughI like the original ones best. This is a beautiful pinky lilac color that's a little unusual, but still very flattering to wear. If you're scared of purple lipstick but want to give it a go, I think this is a great one to start with. Next up is another Revlon product. Their Lip Butters (£7.99) are definitely in my top five favorite lipstick formulas, as they are very comfortable and hydrating, yet pack a punch of color. I love Wild Watermelon for the Spring, and it's perfectly named as I can't find any other way to describe the color than Watermelon. For my only more expensive option, I've chosen Mac's See Sheer (£15.50). I usually find peaches and colors a bit difficult to wear as they can wash me out, but this one lovely and compliments my skin tone well. I picked this shade up through their back to Mac program which I wrote about here. Back to drugstore, I have this Burt's Bees lip crayon ($9.00) in Hawaiian Smolder. I got this when I was in the US because I love their lip balms, but have never seen or tried any colored ones. I'm not sure if they've made their way over to the UK yet or not, but if they have they're definitely worth a try. It feels exactly like applying one of their lip balms, but you get a nice wash of color that can be layered up to quite an opaque finish, or swept on to stay sheer. Of course, the one I picked up is a nice everyday pink, but i definitely need to get my hands on some more colors. Finally I have a gorgeous bright pink Maybelline Color Elixir (£6.99) in the color Hibiscus Haven. I'm not the biggest lipgloss fan, but recently I've been loving this formula. It's super pigmented and hydrating, and leaves behind a wash of color once the gloss has faded. It's quite thick, which I don't mind as it increases the longevity, and has a really nice doe foot applicator. I definitely recommend picking up one of these colors even if you're not a lipgloss lover. 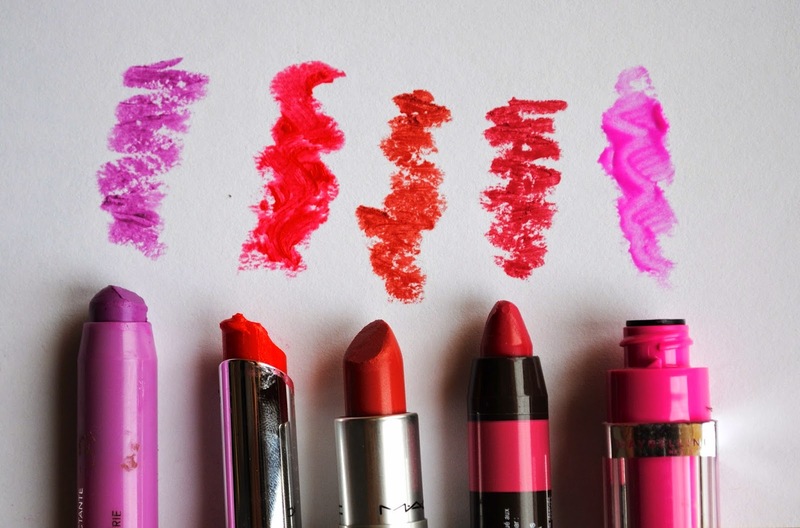 Let me know what some of you're favorite lip products are for Spring in the comments below!